It is possible to run TICS from within the Tasking IDE called EDE. To this end you have to perform the following steps. 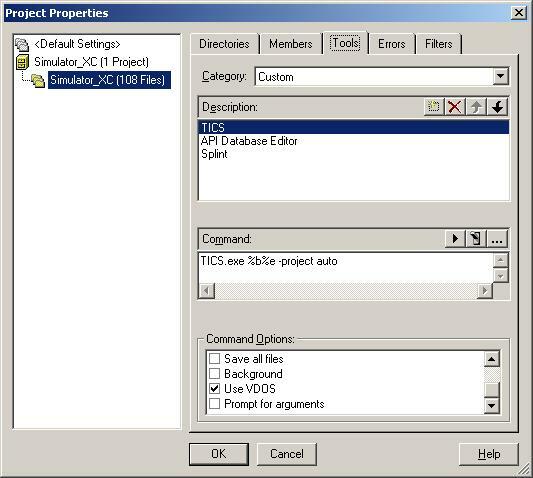 The Project Properties dialog should now look as follows. 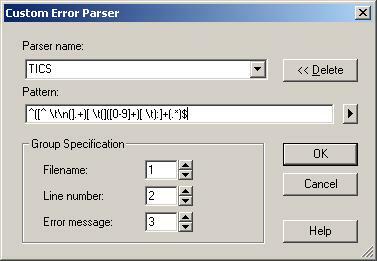 Now the Custom Error Parser dialog will look as follows. In order to use TICS support for Tasking one should make sure that the input file is part of a Tasking project file (extension .prj) and that the corresponding Tasking make file (extension .mak) is available.